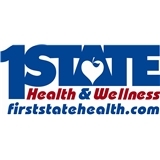 First State Health & Wellness (Newark) - Book Appointment Online! She was very nice, friendly and had all the patience to listen and answer all the questions. She was able to address my concerns very nicely and gave lot of information about chiropractic process.